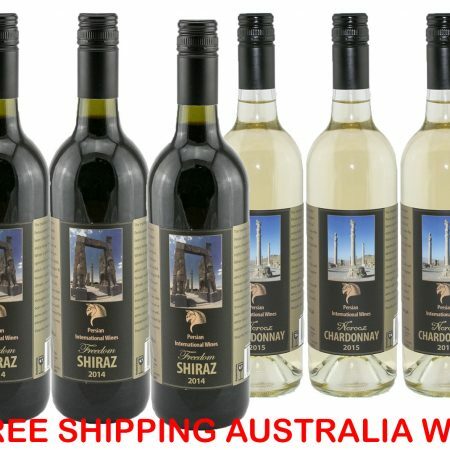 6 x 2014 Freedom Shiraz – Dry Red full bodied, A robust wine with a smooth pepper and spice finish, deep complex flavours on the palate allow blooms of black and blue fruit backed by solid tannins. Enjoy now or be rewarded with cellaring for years to come. 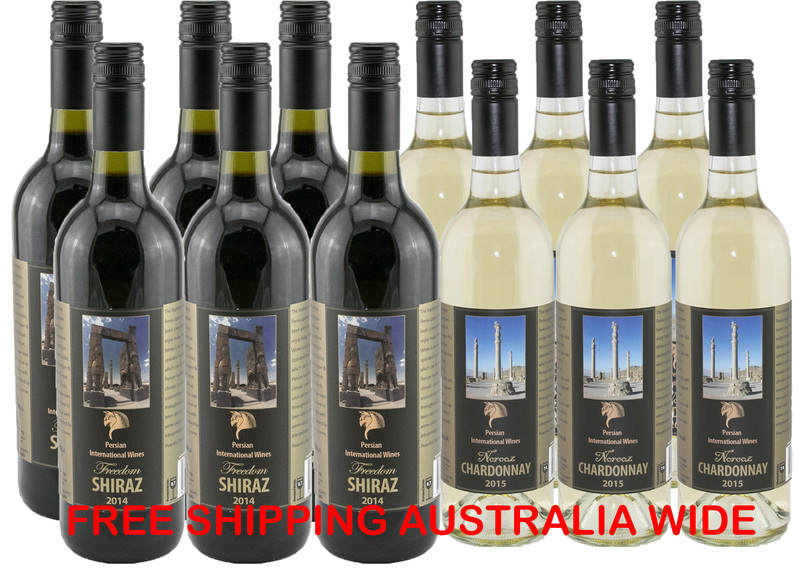 6 x 2015 Norooz Chardonnay – This fresh, light & fruity Chardonnay has been carefully aged in American Oak which has allowed the wine to develop rich, buttery caramel flavours. 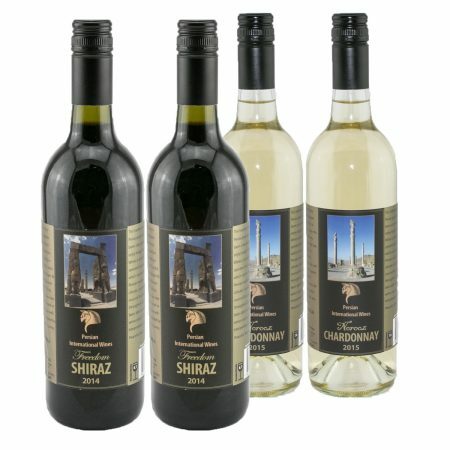 It’s soft acidity is a counterbalance to the slightly herbal aromatics reminiscent of Persia.